The picture perfect tropical Islands are one of the main reasons that make Thailand as a must visit place in the world. But for a traveller choosing best Islands of Thailand can be overwhelming as the country has hundreds of amazing tropical Islands. However, some Islands clearly outrank others while considering the beauty, atmosphere and attractions. Here the list of 10 most beautiful Islands In Thailand to visit. 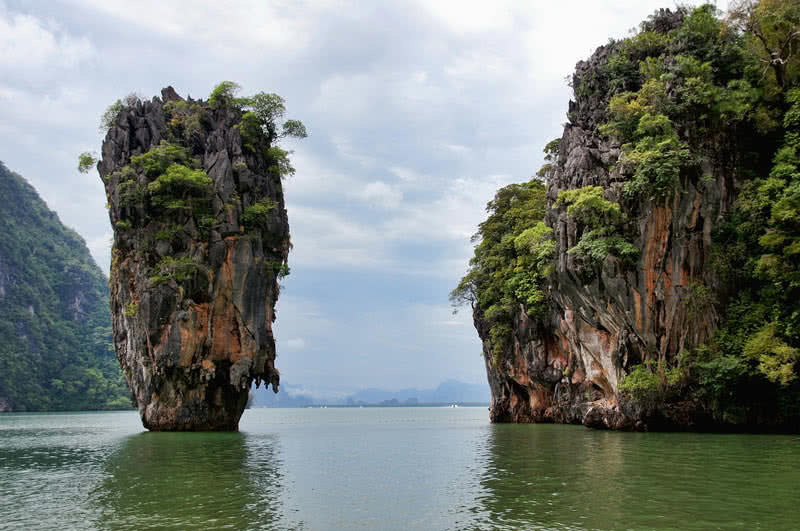 Located in the Pang Nga Bay in Southern Thailand, the Kaho ping khan Island has been popularly known as the ‘James Bond Island’ since the bond movie ‘the man with golden eye’ filmed in the Island. This Island is famous for its dramatic limestone cliffs jut out the striking green waters. The 20 meter-tall, the needle-shaped standing rock called Ko Tapu is the most famous among them, one that has been featured in the James Bond movie. It was formed over 200 million years ago by erosion. A perfect place for enjoying sea canoeing. The Island has a number of amazing caves on the limestone rocks. Apart from the caves and emerald green waters, you could also enjoy the view of beautiful mangrove forests in the surroundings. Boating is the best way to explore the stunning Ko Tapu, standing rock of the Island. The longtail boat service in the Island has a seating capacity up to 10 people. The speed boat service is also available here. A small but beautiful limestone Island located in the Krabi province of the West coast of Thailand. Surrounded by a spectacular white sand beach and with beautiful sceneries, it is truly a great place you shouldn’t miss during your visit to Thailand. Ko Poda is a calm and quiet Island, not too crowded. A perfect place for relaxation and sightseeing. The 1 km long white sandy beach of the Island famous for its crystal clear blue waters. It is a paradise for sunbathers and swimmers. You can also enjoy walking, kayaking and snorkeling here. One of the best places to enjoy Sunset in Thailand. You could find beach bungalows at affordable prices. A small Island located in the Rayong province of Thailand. Ko Samet is famous for its beautiful, white sandy beaches, spectacular beaches and stunning Sunsets. The beaches of Ko Samet Island have exceptionally clear blue waters. Most beautiful and most visited beaches are located on the eastern side of the Island. The 1 km long hat sai kaew or diamond beach is the most popular beach of Ko Samet. Apart from clear waters and a long stretch of white sands, this beach offers variety of activities including swimming, windsurfing, jet skiing and catamaran sailing. Ko Samet has pleasant temperature year around. To enjoy the nightlife, there are a number of amazing bars and restaurants. Ko Samet is an ideal place for good water sports. Here you can enjoy diving, snorkeling, swimming, boating, fishing, windsurfing…etc. Boat riding is the popular tourist activity in Ko Samet. There are various types of packages available in the Island. So that, you could easily choose a service depending on your budget. Some operators provide whole day boat ride for the visitors. 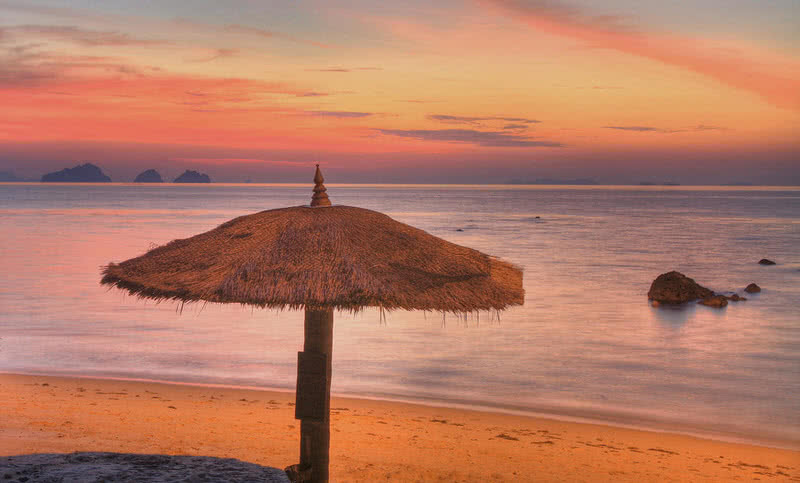 The Ko Pha Ngan Island in the Gulf of Thailand is renowned worldwide for its spectacular fun moon parties. It is an all-night beach party that held on the Haad Rin beach in every full moon. Different types of music and dances are the main attraction of this party. Home to a number of spectacular beaches with clear waters. Located on the North coast of Ko Pha Ngan, The bottle beach is the most isolated and most popular beach of the Island. To access this beautiful beach, you can either choose longtail boat service or 3-hour long hiking. The white sands and gorgeous aquamarine waters definitely make you fall in love with this beach. Some of the amazing temples of Thailand situated on this Island. Upon them wat pa sang that is a must visit one. It is a colorful Chinese temple that overlooking the beautiful Chalok Lam bay. From the temple, you can enjoy amazing view of the surrounding mountains. There are seven amazing waterfalls around the Ko Pha Ngan – Paradise, Sramanora waterfalls, Phaeng, Wangsai, Thaan sadet, Than prapaad and Thaan prawes. The phaeng waterfall located in the Southwest part of the Island is the most beautiful and grandest waterfall of the Island. The trail to this waterfall is also very scenic. Ko Lipe is a small Island located in the Satun province of Southern Thailand. It is a car-free Island and can be covered on foot as the Island is very small. There are three main beaches in the Island – Pattaya Beach, Sunrise beach and Sunset Beach. All three beaches can be reached under 30 minutes from any point on the Island. These beaches are famous for their clear, striking blue, shallow waters. Ko Lipe offers a lot of diving and snorkeling options. 8-mile rock, yong hua shipwreck, Hin takorn dukong and Ko bu tang are most popular diving points in the Island. The shallow waters of this Island also provide excellent opportunities for the beginners to learn diving or swimming safely. Ko Lipe provides better kayaking and sailing options. 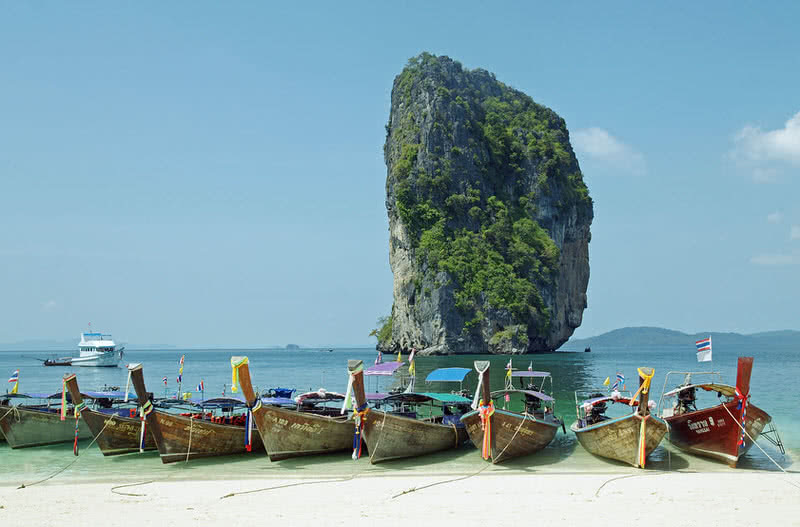 You can travel between the various points of the Island in traditional longtail boats. With a number of amazing bars, restaurants and venues for dance, Ko Lipe is a great place for enjoying the thrilling nightlife. The Kong Chang located in the Trat province is the second largest Island in Thailand. 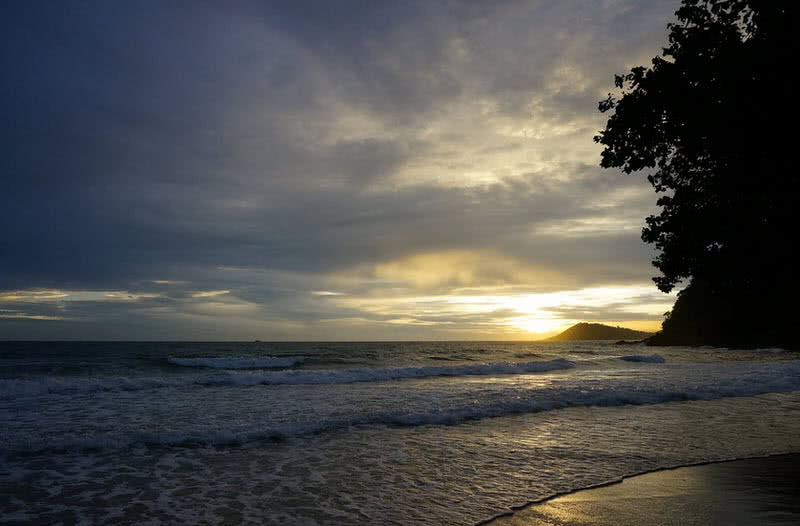 With unspoiled nature and lots of activities, Ko Chang is among the main tourist points in Thailand. There is a number of pristine beaches on Ko Chang Island. The most beautiful and popular beaches such as the white sand beach, kai bae beach, and Klong prao beach are located on the Western side of the Island. In addition to the great beauty, these beaches provide various activities for the visitors including, swimming, snorkeling, and diving. Ko Chang has a number of amazing diving centers. November to March is the best time to visit as sea become calmer and clearer during this period. You could enjoy up close view of beautiful corals and swim among amazing marine species including sea turtles, groupers, barracuda and clown fishes. Y0ou can enjoy adventurous elephant trekking in this Island. The ride will last for 1-2 hours. You could also feed and wash the elephants at the end of the trekking. Enjoy jungle trekking in Ko Chang to get closer to nature. Throughout the journey, you will see some of the amazing birds, plants, and small waterfalls. The name ‘Ko Tao’ means turtle Island, named after its turtle like shape. This tiny Island is located in the Eastern part of Thailand. Ko tao is famous for its legendary diving centers. There are 20+ diving spots in this Islands. These centers provide training for the beginners. Chumphon pinnacle and Southwest pinnacle are the most popular diving spots in Ko Tao. Through the clear waters, an amazing underwater world of Ko Tao. Ko tao beaches with a long stretch of white sands, striking aquamarine water and amazing marine life are definitely among best tropical beaches in the world. 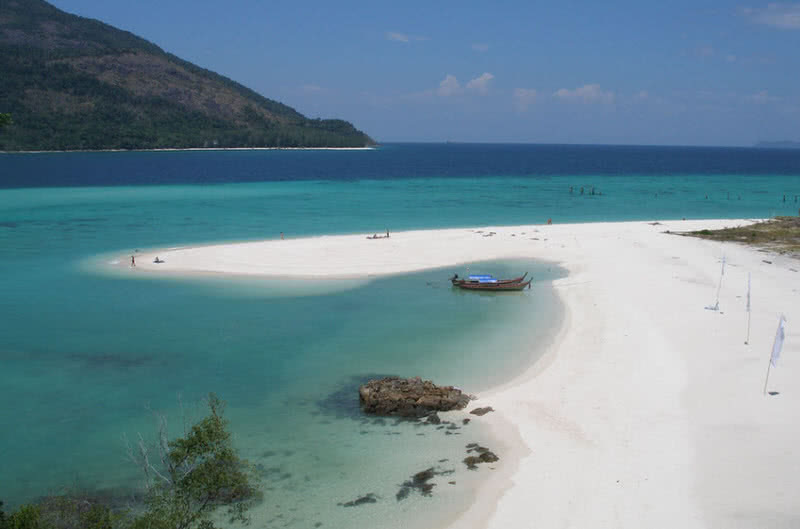 Mae haad, Sairee beach, Freedom beach, and Jansom bay are some of most popular and beautiful beaches of Ko Tao. 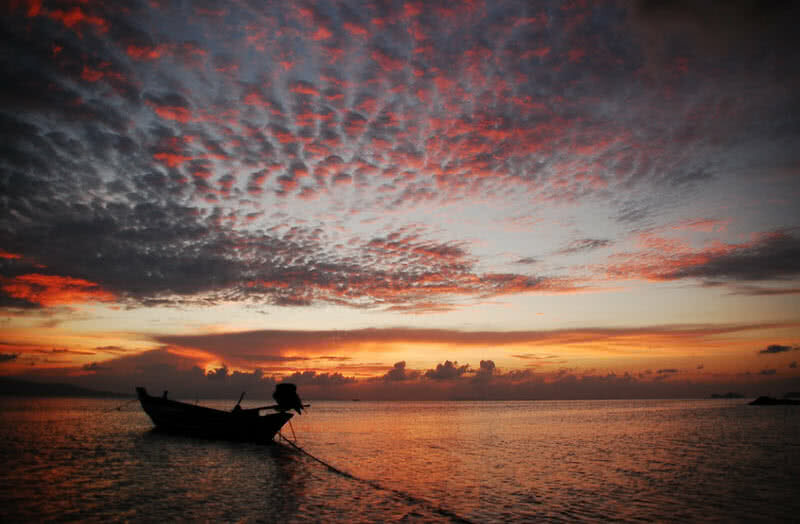 Boat riding is a don’t miss activity in Ko Tao. Almost all beaches in Ko Tao provide boat services. There are both traditional longtail boats and small boats are available. Ko Tao is an Island of dazzling nightlife. There are lots of bars, clubs and venues for dance. In addition, you could enjoy live music and live sports on beaches. 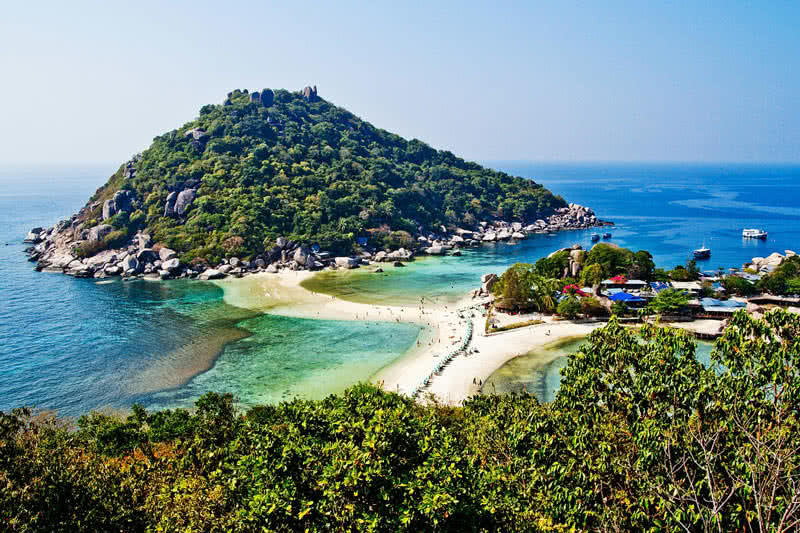 The hilly landscape of Ko Tao offers a number amazing hiking trails for the visitors. Uphill hike to fraggle rock viewpoint in Sairee village is the most popular one. You will find amazing wild flowers, animals and large rocks on hiking. From the top point, you can enjoy breathtaking view of Sairee village. Located in the Gulf of Thailand, the Ko Samui is the third largest Island of Thailand. This Island is famous for its beautiful beaches, mountainous landscapes, entertainments, shopping opportunities and delicious food. The palm fringed Ko Samui beaches are renowned worldwide. The clear blue waters and fine sands of these beaches could make you happy on the first sight itself. 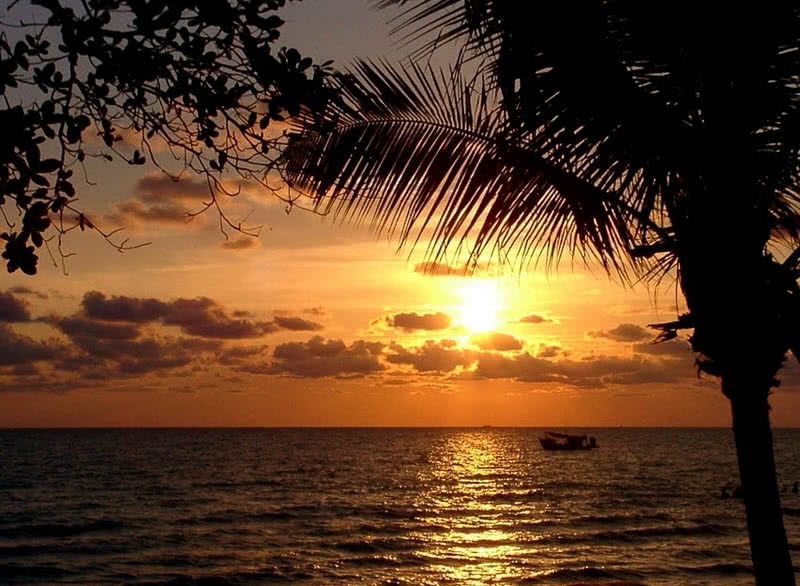 Chaweng beach, Lamai beach, Bophut beach and Maenam beach are the popular beaches in Ko Samui. For accommodation, you can find world-class resorts in Ko Samui. They provide all kinds of amenities for you. In addition, these resorts provide a stunning view of Sunsets and the seas. The Big Buddha temple on the Northern coast is the most famous landmark of Ko Samui. The 12 meters-tall golden Buddha statue can be seen from several miles away. There is also a small Buddha statue that depicting Maitreya or future Buddha. Take a jeep tour through the beautiful forests of Ko Samui. Such a ride will offer up-close view of a forest, valleys, rivers and small waterfalls. The clear waters of Ko Samui provide the best snorkeling, diving, kayaking and swimming opportunities. Ko Lanta is one of most beautiful destinations in Krabi province of Thailand. This Island is known for its long white sandy beaches, tropical forests, festivals and food. The crystal clear waters and amazing corals of Ko Lanta provide great opportunities for scuba diving and snorkeling. The Hin Daeng and Hin Muang diving site near Ko Lanta is one of the best diving sites in Thailand. Here divers can enjoy fantastic marine life including more than 200 types of corals and 100 different species of beautiful fishes. Take elephant trekking in Ko Lanta National Park to enjoy the beauty of lush, green forest. The jungle trail walk also can be an unforgettable experience for you. This National Park is home to some of amazing plant and animals. The beaches of Ko Lanta are famous for their white sands and clear aquamarine waters. 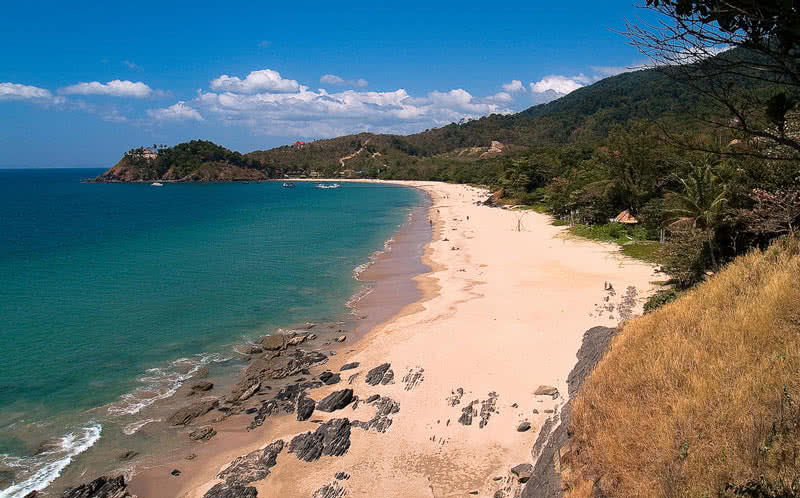 Kor Kwang, Klong Dao, Pra Ae, Klong Khong and Klong Nin are the most popular beaches of Ko Lanta. Some of these beaches are extremely shallow so that you could safely learn diving or swimming. These beaches also provide quality accommodations, restaurants and a lot of thrilling activities for the visitors. Visit deep and elaborate Khao Mai Kaew caves in the central part of the Island. It can be challenging but definitely an incredible experience. There are interconnected corridors to explore the caves. Inside the caves, you could see brilliant rock formations and amazing stalactites and stalagmites. Ko Phi Phi is an amazing archipelago in Krabi province that contain six beautiful Islands – Ko Phi Phi Don, Ko Phi Phi Lee, Koh Yung, Koi Mai Phai, Koh Pai and Ko Bida Nok. With spectacular beaches, stunning rock formations and world class diving spots, the Ko Phi Phi is truly one of the most beautiful places to visit in your lifetime. The Koh Phi Phi Don is the largest islands of Phi Phi archipelago. This Island is famous for its beautiful beaches and stunning cliffs. The most amazing site in Phi Phi Don is a 100 meters long, narrow sandbar that connecting two beautiful bays of the Island called tanum bay and tonsai bay. The breathtakingly beautiful Maya bay in the Koh Phi Phi Leh Islands is perhaps the most beautiful spot in entire Phi Phi archipelago. Surrounded by 100 meters high cliffs on three sides, the Maya bay consist of a number of beautiful beaches with exceptionally clear, blue waters. The stunning bay has been filmed on popular Hollywood movie ‘The beach’ in 1999. The Koi Pai Island is a don’t miss spot in Phi Phi archipelago. This Island is also known as Bamboo Island as it is covered with beautiful bamboo trees. With amazing coral reefs, this Island provide excellent snorkeling opportunities for the visitors. With warm waters, abundant marine life and variety of amazing corals Phi Phi Islands is among the best diving spots in the world. Anemone reef, Maya bay, king cruiser wreck, Koh bida nok and shark point are most popular diving spots on Phi Phi. Beginners can also find best PADI dive courses on Phi Phi Islands. The certification from Phi Phi is recognized worldwide. The Tonsai Tower in Koh Phi Phi Don is a world class rock climbing spot that you don’t want to miss. The 200 meters high rock wall offers 30+ climbing routes. Beginners can learn basic of climbing from the experienced instructors at the Tonsai Tower.